The #1 selling book on Amazon (StrengthsFinder 2.0, Tom Rath) is not a book, it's a movement. 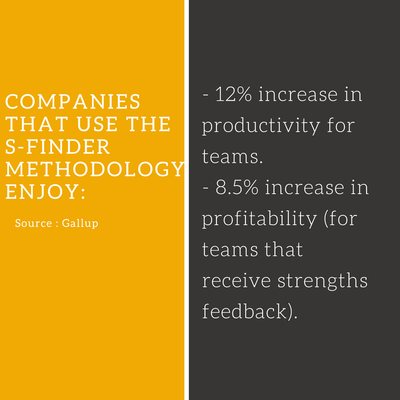 For more than 15 years, Clifton StrengthsFinder™ has been largely used in the corporate world. 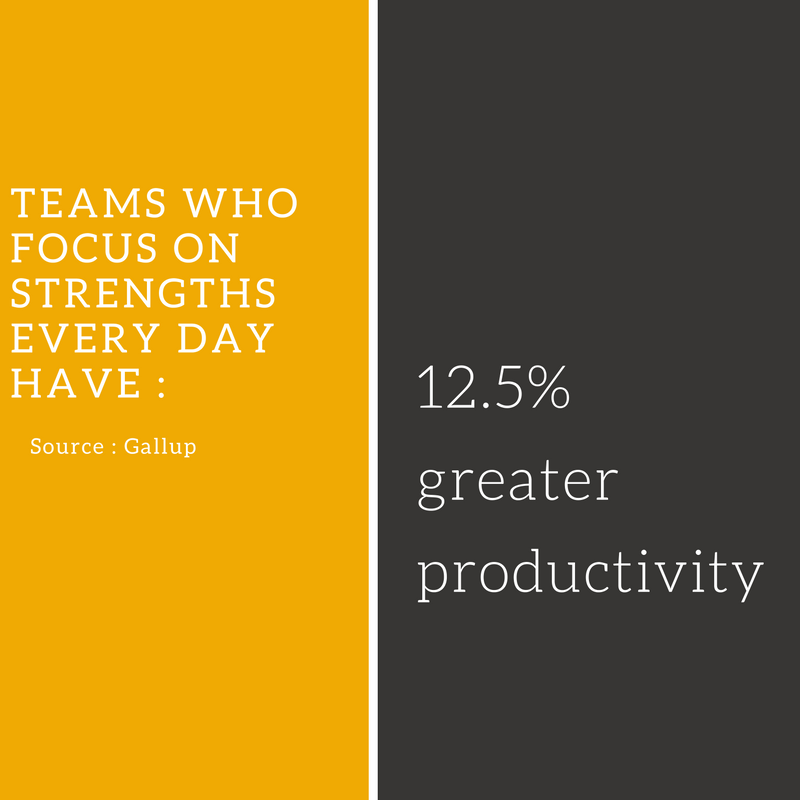 It is aimed at implementing a strengths-based development in the organizations. The Clifton StrengthsFinder™ is an online assessment that dives in our natural Talents (our Top 5, among 34 talent themes). Talents are people's naturally recurring patterns of thought, feeling, or behavior that can be productively applied. 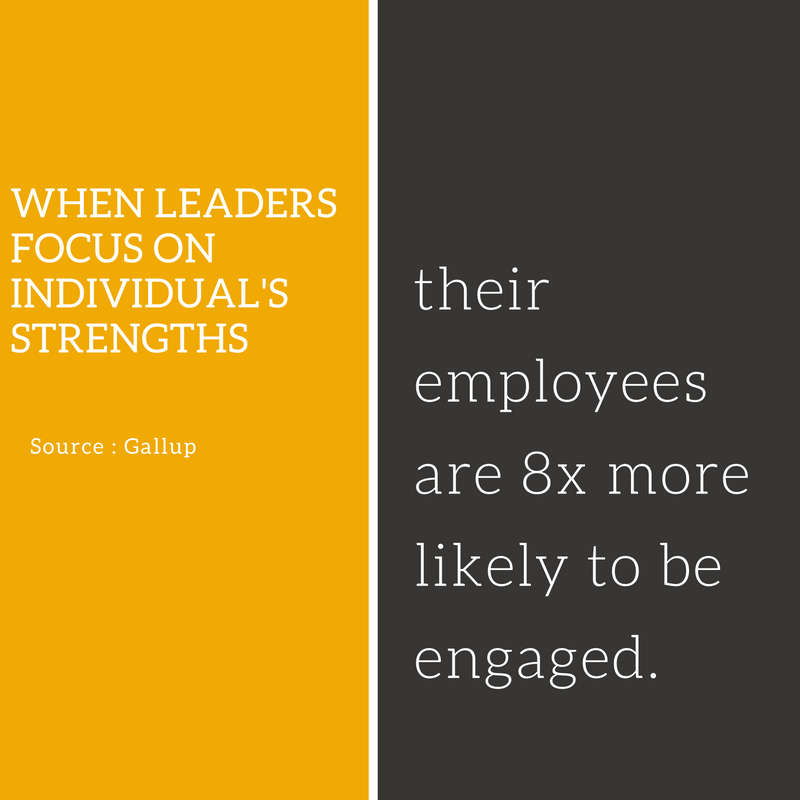 Strengths-based development is not just about identifying people's strengths and talents. It's about helping them recognize and develop their talents and learn how to apply them effectively to accomplish their goals. 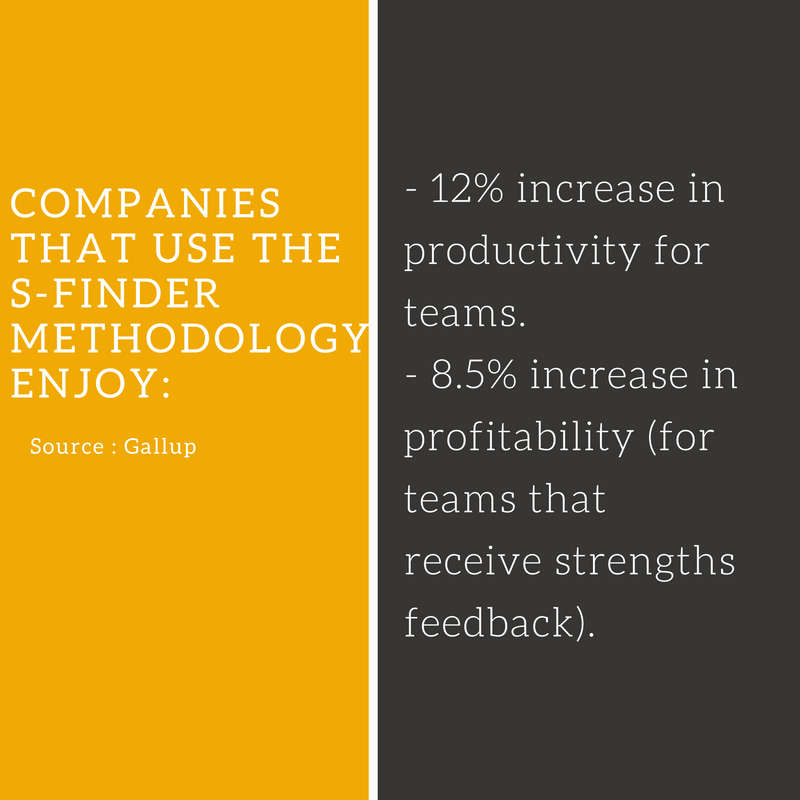 StrengthsFinder™ helps our clients to ground their actions, decisions and thoughts with the context of their strengths, consciously seeking ways to apply their talents to their performance outcomes. Because when you discover your greatest natural talents, you will discover your greatest opportunity for performance, satisfaction and engagement. "Managers should “help each person find roles that ask him to do more and more of what he is naturally wired to do. 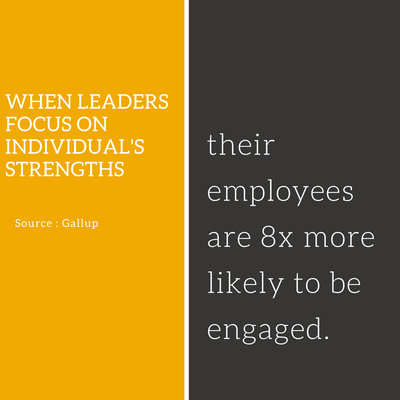 Help each person find roles where her unique combination of strengths – her skills, knowledge and talents – match the distinct demands of the role.” First, Break All the Rules (M. Buckingham & C Coffman).